"Griechenland ist das Paradies auf Erden. Wir segeln nur in Griechenland !" "Beim Anlegen in Lavrio wurden wir von den yacht men sofort versorgt." "we love this country . we was first time in greece"
"Attractive destinations. Characterful and friendly. Not too crowded"
"The real Greece is in its islands, places and their people. Went to Kythnos, Syros, Tinos and Kea (Tzia) and, as usual, was very well treated by everybody!" 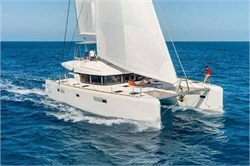 "A great sailing destination. 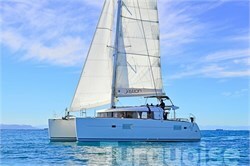 Beautiful, lots of anchorages and plenty of places to restock." "Immer nette häfen mit leckeren tavernen "
"Kykladen resp. Griechenland ist immernoch eine Reise wert"
"Not very crowded. You can always find a nice and remote bay." "Not too busy despite being high season"
Lavrion is the ideal starting point for yacht charter in the Cyclades but also good for itineraries around the Saronic Gulf and the Peloponnese. It has a very easy accessibility with Athens International Airport, Eleftherios Venizelos, which is only a 30 minute drive away. There are great ancient sites within the immediate vicinity and off course you can enjoy the typical relaxed Greek lifestyle with authentic, good food and taverns. You have a multitude of islands and beautiful coastlines to choose from. On top of that you are spoilt with the wonderful mild Mediterranean climate. What are the general characteristics of boat rental from Lavrion? Lavrion is perfectly located for Aegean charter as it lies only 36 km from Athens International Airport with its many flights to and from all bigger European cities. To the Greek capital itself it is only 60 km or about a 40 min ride from Lavrion. The seaside town forms part of the region of Attica and is set between the ancient towns of Sounion and Thorikos, opposite the island Makronisos. 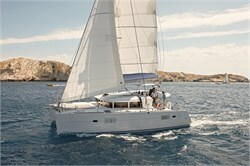 Lavrion is the best yacht charter base for the Cycladic Islands. It is also a good possible starting point for the Saronic Gulf but the big Alimos Marina of Kalamaki just outside Athens is better situated for that. 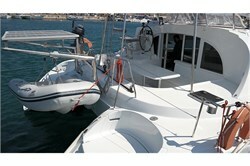 The marinas in Lavrion have good infrastructure and services. Right in the centre is the authentic port conveniently located within walking distance of all necessities and at only a 5 minute ride from the centre you encounter Olympic Marina. 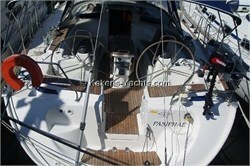 What do the marinas in Lavrion have to offer for bareboat charter guests? The main Port of Lavrion is located conveniently right off the town centre square within walking distance of supermarkets, shops, restaurants, bars, banks, car rentals etc. It is a 5 minutes’ walk to the supermarket on the main square which offers a free delivery system. The next ATM machine is 100 m from the port and restaurants and bars are located in the immediate vicinity, thus contributing to the authentic feel of the port. The facilities include water, electricity, fuel truck, chandlery and repair services. Olympic Marina is located in the next bay to the South from Lavrion Marina, just a short drive from the town centre. There are berths for 680 yachts up to 30 m length, a dry dock, travel lifts, various maintenance and repair services as well as 24 hour security. 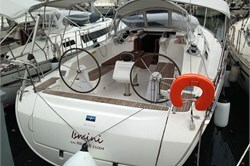 The marina holds the eco-label "Blue Flag" for sustainable boating tourism operators. There is free Wi-Fi, a chandlery, a mini market, bars, restaurants and cafes as well as a car, bike and scooter rental facility. 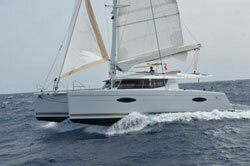 What are the best sailing routes from Lavrion? Sometimes called "The gate to the Cyclades", Lavrion is great for exploring this stunning archipelago. 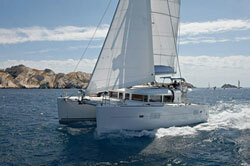 On a one-week charter, start with sailing to Kythnos. Due to archaeological finds from the 9th millennium BC, this island is the oldest known settlement in the Cyclades. From there head to Serifos with its lovely main town Serifos or Chora on top of the hill. Next, cruise to the stunning volcanic island of Milos and the centre of the Cyclades, Paros. Then head back towards Lavrion via Syros and Kea. The overall route is about 190 NM. Another possible itinerary of about 140 NM takes you to via Kea to Andros and from there to Tinos. Take the rental yacht on to famous Mykonos (ca. 65 NM from Lavrion) and get a taste of the amazing nightlife there. Then head back to the charter base via Syros and Kythnos. If you have fourteen days to spare for a charter holiday, go all the way down to one of the southernmost Cycladic Islands Santorini (ca.100 NM from Lavrion) via Ios and then make your way back up north visiting Sikinos, Sifnos, Serifos, Kythnos and Kea. On this particular route you would be sailing about 250 NM. Off course, these are only suggestions and there are plenty of other islands and possible itineraries. Should you plan a charter in the Saronic Gulf, here is an idea about the distances to the islands there from Lavrion: Poros, 36 NM; Hydra, 38 NM; Aegina, 41 NM; Spetses 53 NM. For day charter, head to: Makronisos, 3 NM; Cape Sounion, 5NM; Kea, 17 NM - still only a few sailing hours away; or Kythnos, 26 NM. What is there to do in and around Lavrion apart from sailing? Visit Thorikos, where you can admire the excavations and remains of the ancient city, the acropolis, the theatre (oldest in Greece!) and some temples. This site has been used as mining centre from as early as the 4th millennium BC. Cape Sounion, only about a 10 min car ride away from Lavrion, offers stunning views from the top of the cliff and is a great setting for the remains of the ancient Temple of Poseidon. It dates back to the 5th ct. BC and watching the sunset from the cliff is an amazing sight to behold. Combine the excursion with a nice swim at the beach and lunch at the seaside tavern before you head out for another trip on the sailing holiday. The Mineralogical Museum right in town is telling you about the rich history of mining in Lavrion - there are 700 samples of 115 different kinds of (some very rare) minerals. The ancient mining tunnels and shafts left debris collecting near the mine entrances, so even today it is still possible to just wander around the beach and collect crystals there. To stock up for charter trips on the sailing yacht, go to the farmers market or the fish and meat market behind the main square and sample some typical Greek food at one of the adjoining mezze and ouzo bars. Try water sports like water ski, wakeboarding, kite or wind surfing, kayaking, snorkeling and diving with one of the local dive schools, or go on one of the organised dolphin watching tours. Don´t miss out on going sightseeing in Athens - the Acropolis and the Parthenon are an absolute must-see. Just around the corner you find the wonderful Plaka (oldest part of Athens at the foot of the Acropolis). Spend some time in the fascinating archaeological museum. Or meander through the town centre with its many shops and restaurants. For a good panoramic view of the Acropolis and the whole of Athens, head to the Lycabettos hill, which is located just opposite the ancient site. There is a cable car you can take up, or simply walk. 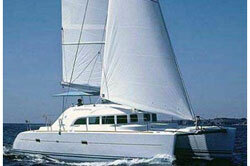 How to charter a yacht in Lavrion? 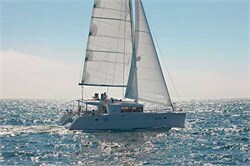 In order to do sailing or motor yacht charter in Lavrion you will require a skipper´s licence or proof that you have sufficient sailing experience. 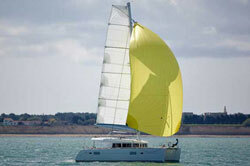 The alternative is to hire a yacht with a skipper. 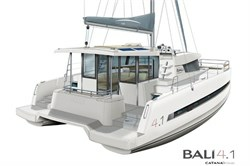 All you need to do then is to decide whether you want bareboat or crewed yacht charter and if you prefer motor or sailing boat rental respectively catamaran hire. There are some very professional companies for yacht rental in Lavrion and you can use YachtFinder to get the best offers and find the perfect charter combination for your individual sailing holiday. 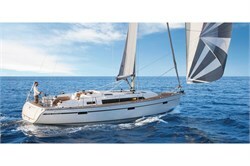 Some examples for charter companies in Lavrion are: AF Yachting, Greek Isles Yachting, Hermes Yachting, Multihull Yachting, Isalos Yachting, Istion Yachting, Kavas Yachting and Kekeris Yachts. 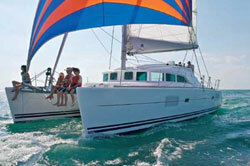 Choose from over 40 customer reviews and contact us for more detailed information on charter yachts and conditions.